SCOTS BGT winner Jai McDowall says he is having to undergo nose surgery to help his singing career. Jai who won the TV talent show in 2011 claims his performances have been affected by a deviated septum which has caused him nasal blockages resulting in pre show nerves. He also says he's fed up with photographers photoshopping his nose. I've been waking up with a sore throat. It's been making it hard to sing and I've suffered from anxiety about not being able to sing before performances." He added:'"I've also had photo shoots, where the photographer has changed the appearance of my nose which has been a bit insulting." Jai, who has been on a keep fit drive and is trying to get his career back on track, recently had an audition for Les Miserables in London's West end but was suffering from severe congestion beforehand. He said: "I've recently been recording in LA and have a few big work things coming up so I have to get my nose seen to now." The Ayrshire born singer who has just turned thirty admitted he contemplated getting surgery done abroad before friends talked him out of it. 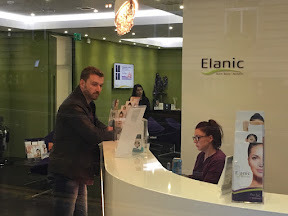 I've now been consulting with Mr Ray from Glasgows's Elanic Clinic. Mr Ray is one of the leading cosmetic surgeons in the UK with a specialist interest in Rhinoplasty and used to work at the world renowned Canniesburn Unit of the Glasgow Royal Infirmary. 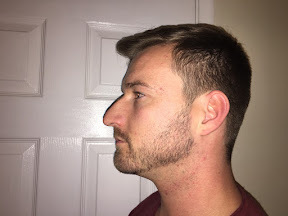 He talked me through everything and also showed me how my nose would look from all angles on a specialist 3D Vectra simulation system. I'm set to have surgery in the first week of April and will go to hospital to have it done. I am a bit nervous because my nose is a big part of me but I know it's the right thing to do. I'm hoping my nose will be all ready by the time the new series of BGT is aired next month."